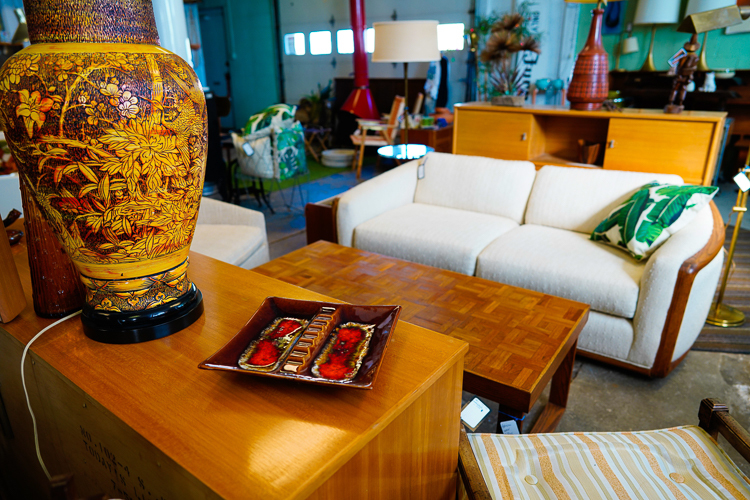 The words "vintage furniture" usually bring to mind shag carpet, garish patterns, and fake leather, but a shop in Bay City is working to bring attention to the art and design that can be found in retro furniture. Bermudez says those lamps started the ball rolling towards seeing what other vintage treasures they could find. 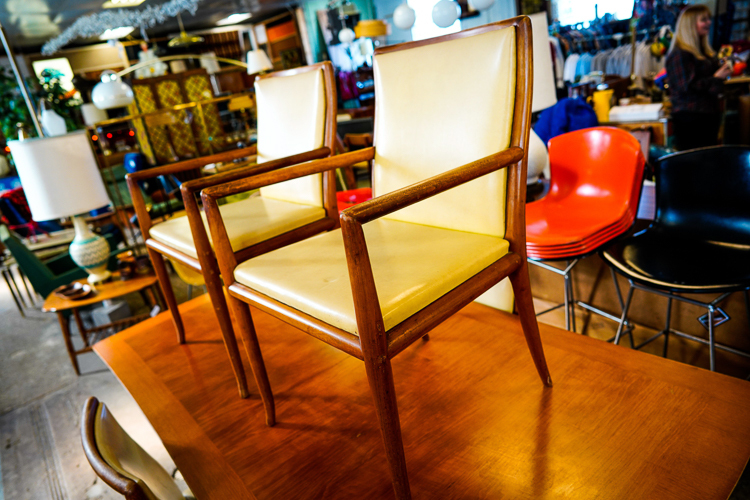 Co-owner Dena Pawlicki says that the propensity of people in Bay City to hang onto things gives them an ample supply of great-looking pieces to pick through. "We're fortunate enough that Bay City at it's highest population around 55,000 people, and back then no one threw away their stuff - they either kept it for a lifetime and put it in their basement or in their cabin," she says. "And a lot of furniture was being made in Michigan, we used to be a huge furniture manufacturing state. There were amazing pieces of furniture coming out of here." Bermudez says that they're drawn to retro furniture because of the art od design that can go into a piece. "Unbeknownst to us when we started all this, was that a lot of this was designer furniture. You don't think of furniture as designer pieces and very collectible, but a lot of it is," he says. "It's not necessarily the furniture you're buying, but the name behind it. There are collectors who will only buy Paul McCobb designed pieces. It's pretty serious. And whenever we think we have a good grasp on the business and the industry and the designers - we discover something totally new. It's pretty fun. We'll see a piece of furniture and think, 'What in the world is that?' and my world just gets turned upside down by a piece of furniture." Pawlicki says one of her goals is to help teach people about mid-century design and designers. While the items give a nod to the past, the internet, and specifically social media, play a large role in connecting with customers. "It's probably about fifty-fifty between in-store retail and selling online, I would say. We do a lot of Instagram, social media, mainly because a majority of our customers are Ann Arbor, Ypsilanti, Detroit...so we have to entice them up here," says Bermudez. "Every weekend we have our southern buyers. We sculpted our hours around that as well. We're open Thursday, Friday, and Saturday mainly because those are the days those people can come up." Bermudez and Pawlicki estimate that about half their business comes from online buyers. While a majority of their customers come from Southeast Michigan, they say that the amount of people looking for this style of furniture is growing in Bay County. 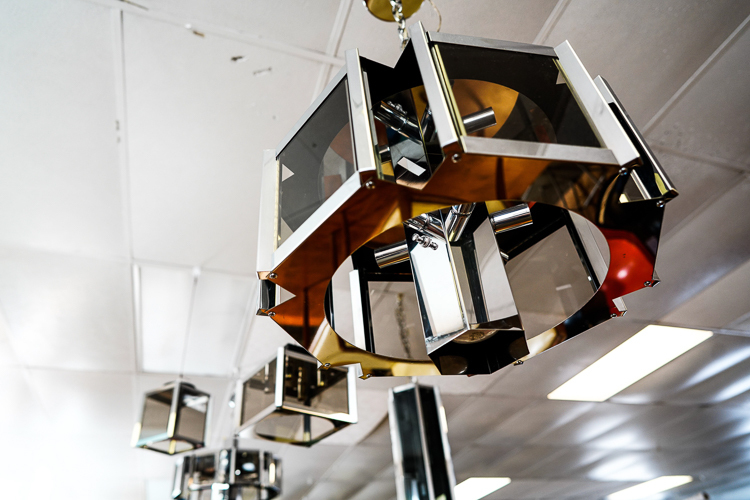 “The mid-Century, retro look is coming into its own here. They always say the Midwest in 10 years behind the coast, and this stuff is untouchable out there," he says. "Dena has a friend who works at a high-end auction house out there, and it's not uncommon to see designer-name sofa to be anywhere from $10,000 to $40,000 dollars. It's nuts." "Whenever we think we have a good grasp on the business and the industry and the designers - we discover something totally new," says Bermudez. "I think the most important part is educating customers," says Pawlicki. "The average person walks in and doesn't understand why one chair can be $40 and another one can be $400 or $4000 or more. But we're an antique store that specializes in furniture. But I want people to come in and educate them, even if they're not into this stuff. I want to talk to them about it, about what they have in their basement - if you don't like it, and have it I will give you good money for it!" 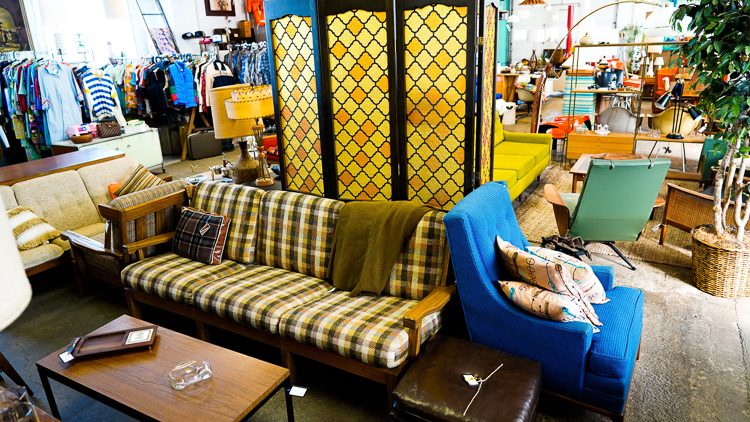 Retro Attics is located at 1123 Saginaw St. in Bay City, and is open Thursdays, Fridays, and Saturdays at 11am.